India's ratification of the Paris climate agreement on Sunday brings the ambitious global warming deal a big step closer to coming into effect. 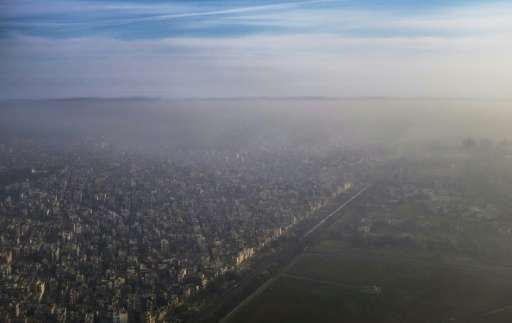 The accord, sealed last December in the French capital, is aimed at keeping global warming below two degrees celsius compared with pre-industrial levels. To come into force the deal must be ratified by at least 55 countries that account for at least 55 percent of the planet's greenhouse gas emissions responsible for climate change. The first of the two criteria has already been achieved, with 61 countries ratifying the deal ahead of India. 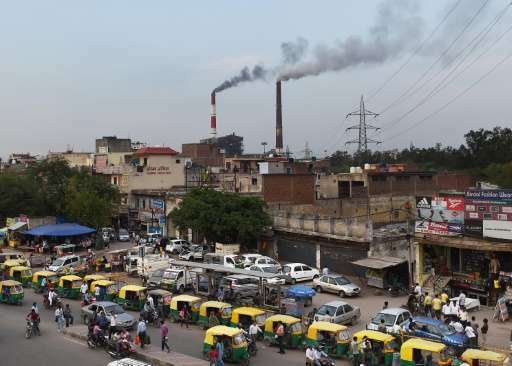 India, the world's third-largest carbon emitter with its population of 1.3 billion people, has brought the second criteria within sight. Now a total of 62 countries accounting for almost 52 percent of emissions have ratified the agreement to tackle rising temperatures worldwide, according to the United Nations Framework Convention for Climate Change (UNFCCC) website. Canada, which accounts for 1.95 percent of global emissions, is expected to ratify the Paris agreement soon while on Friday the 28 European Union nations agreed to fast-track the ratification procedure. The process for the EU is more complicated as each individual member state must ratify the deal under its own system. Some have already done so; Austria, France, Germany, Hungary, Malta, Portugal and Slovakia. The two biggest greenhouse gas emitters, ahead of India—China (20.09 percent) and the United States (17,89 percent)—formally joined the party together last month. US President Barack Obama and his Chinese counterpart Xi Jinping handed ratification documents to UN chief Ban Ki-moon at a ceremony in the Chinese city of Hangzhou. The Paris accord should come into effect "before the end of the year," Ban said last week. French Environment Minister Segolene Royal, who hosted the COP21 Paris climate talks, hopes the deal will come into effect before COP (Conference of the Parties) 22 gets underway in Morocco on November 7. The Paris accord was formally signed, though not ratified, by 75 countries in New York in April. The deal requires all countries to devise plans to achieve the goal of keeping the rise of temperatures within two degrees Celsius (3.6 Fahrenheit) above pre-industrial levels and strive for 1.5 C (2.7 F) if possible. Climate change experts estimate that it will require overall emissions cuts of 40-70 percent from 2010 to 050 to achieve the two degrees goal.